Admission - Female $10, Male $20. 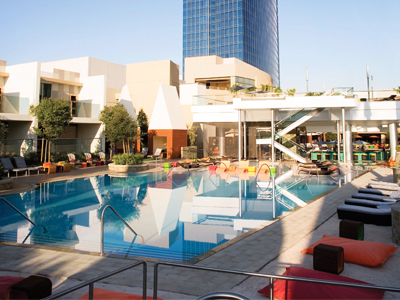 Starting your weekend early is the name of the game at Ditch Fridays at the Palms pool. The excitement starts with the DJs keeping a fun vibe going throughout the day with a dance party mix. The 2 acres of swimming pools and three bars allow the party to get big with plenty of space for everyone. If you are ready for some gaming action, there are blackjack tables close by in the Glass Bar. 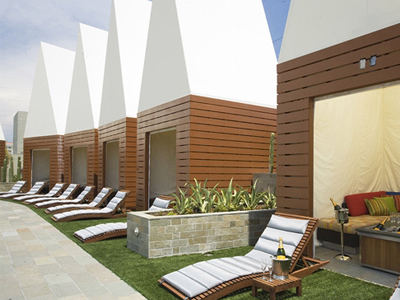 At the Palms you cannot only rent a cabana, but they also offer poolside bungalows so you can make your hotel room poolside. 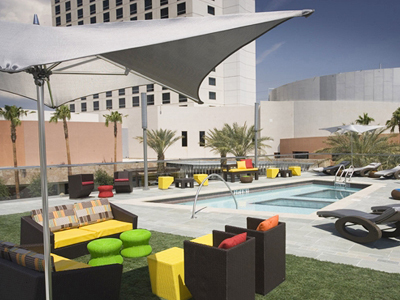 This is a famous Vegas party spot to see the beautiful people or be one of the beautiful people. So ditch work on Friday and join in the excitement. 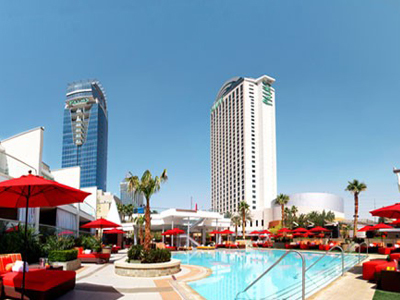 I love going to Ditch Fridays at Palms pool! I live here and go almost every week in the summer. I practically live there and I love the DJ mixes and the private cabanas! I went to Ditch Friday with a big group of guys for a Bachelor Party and had an absolute blast! There are multiple pools and 3 bars so even though this place can hold ALOT of people, it never seemed to get over crowded. The music that is played is a good mix of everything unlike alot of the other pool parties that are EDM heavy! The crowd is very attractive and lively! Very easy to meet groups of girls to go out with at night. The Friday we went was the weekend of a big UFC fight so that may have something to do with the crowd. Bring some extra cash to throw the host at the door to skip the lines, or arrive extra early. Maybe bc there was a UFC event that weekend the crowd was larger but the line was pretty long. Def worth the $ we greased to skip! I cant really think of anything negative I can say. I will definitely be going back on my next trip this year!